At Baylham House Rare Breeds Farm we have six small flocks of rare sheep, two breeds of cattle, pygmy goats, chickens and three breeds of pig including Kune Kunes, the wonderfully friendly Maori pigs from New Zealand. 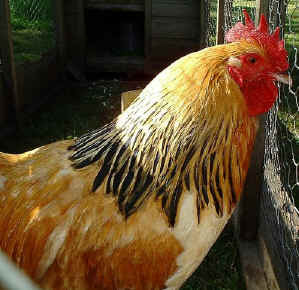 We are happy to advise you on the husbandry of any of the breeds that we keep and also sell you any surplus stock that we have available. 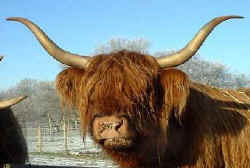 Highland cattle are not rare but we keep them because we like them. They will survive on rough grazing and will cope outside in the winter. 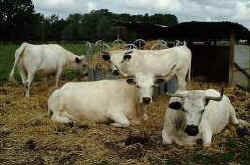 They are very gentle and produce excellent beef though they are slow to mature. The oldest breed of British cow currently on the Endangered List. Produce exceptional quality beef. We are expanding our White Park herd. 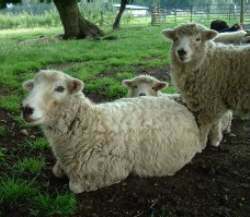 We keep six different breeds of sheep at Baylham and produce lambs every year. 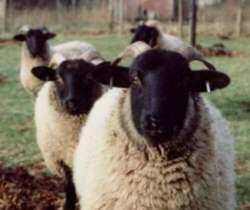 Our rare breed flocks are bred pure each year with the surplus stock sold primarily for breeding with unsold animals going to the butcher to be sold as meat. Would advise anyone with an interest in breeding stock to let us know as soon as possible as we can then reserve some lambs from our next crop once they are born in March / April. Our list of sheep for sale is constantly changing so if you contact us and let us know your interests we can give you details of what is currently available. 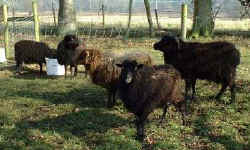 For some breeds demand often exceeds supply and letting us know your interests before we start lambing will make things much easier for all concerned, particularly if you are looking for a ram as we generally castrate ram lambs within a week of birth but will keep back a good quality ram lamb and leave him entire if asked to do so. An excellent breed which is currently much sought after. Over the years we have become so impressed with the breed that we have disposed of our commercial flock in order to increase our Llanwenog numbers. They are Britain's most prolific breed. They are absolutely superb mothers and we have found that they will adopt lambs without any of the normal problems associated with adoption. They have an excellent fleece and produce a good carcass. 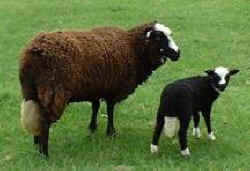 If needed they will also produce a good cross bred lamb with good conformation and early finishing. 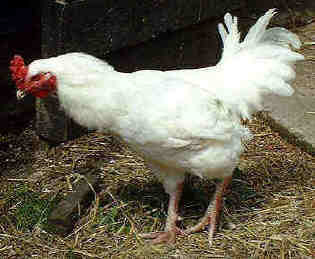 An unusual breed originating from one particular valley in Wales. The breed society have to inspect all lambs before registration and the white markings are all important. A ram can only be registered if it has the perfect markings of an unbroken white nose blaze, four white socks and half a white tail. The ewes are inspected but on a less rigorous basis. Britain's hardiest sheep coming from the mountains in the Lake District. Produce the most docile lambs. Much sought after and we usually have a waiting list for the lambs. A very attractive sheep producing a very heavy lustre wool fleece. 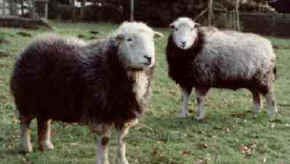 Produce a good meat lamb when crossed with a terminal sire such as a Suffolk or a Llanwenog. Supposedly the world's smallest naturally occurring sheep. 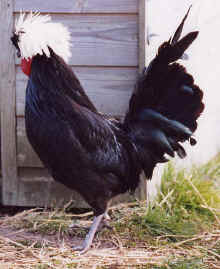 They originate from the Isle de Ouessant, a tiny island off the Brittany coast in France. They are very rare in the UK. 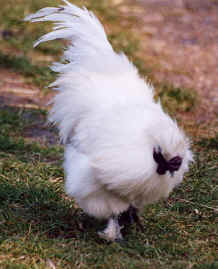 The Middle White is thought to have been created by crossing the Large White with the early maturing Small White, a breed now extinct. 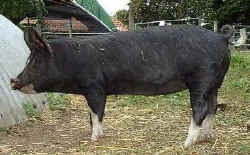 The Middle White is also known as the London Pork Pig as it produces quality pork and was extensively reared to supply the capital with the succulent meat for which it had become famous. A characteristic of the Middle White is the dished face with a rather squashed in nose. 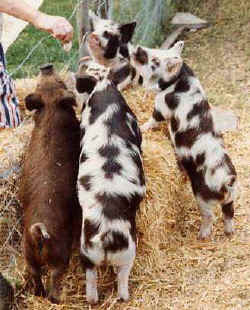 The Maoris in New Zealand kept Kune Kunes both as pets and for meat, allowing them to roam freely to scavenge in and around the village houses. This close association with man probably accounts for the Kune Kune's love of humans and their placid and friendly temperament. If grass is available they will graze and do not dig up their pasture. They will thrive on a diet of grass, fruit and vegetables with a small amount of protein meal when the grass is in short supply. We have several pygmy goats in various colours. We will be breeding from them again in the future. We usually find that the kids have been sold long before they are born so, anyone wanting a kid had better let us know as soon as possible. We have several contacts who also breed pygmies and have often managed to find kids for people who are too late to book one of our own kids. 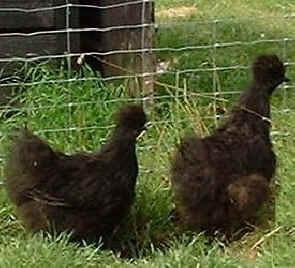 We breed both Black Silkies and White Silkies, Crested Polands, Scots Greys, Buff Sussex, Ixworths and Scots Dumpies.